At one point in time, covered bridges were a common site in Philadelphia. 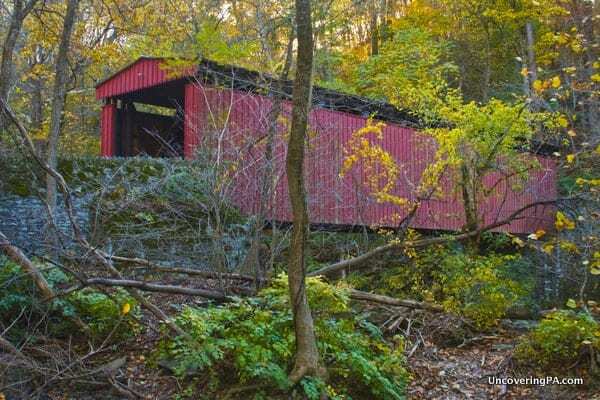 In fact, the first covered bridge ever built in America was built in downtown Philadelphia. This bridge carried traffic along Market Street over the Schuylkill River today (directly in front of where 30th Street Train Station stands today). Over the coming years, many covered bridges were built, and eventually, just as many were destroyed or replaced until only one was left standing. A small dam near the bridge creates a nice little waterfall (See the area’s best waterfalls). 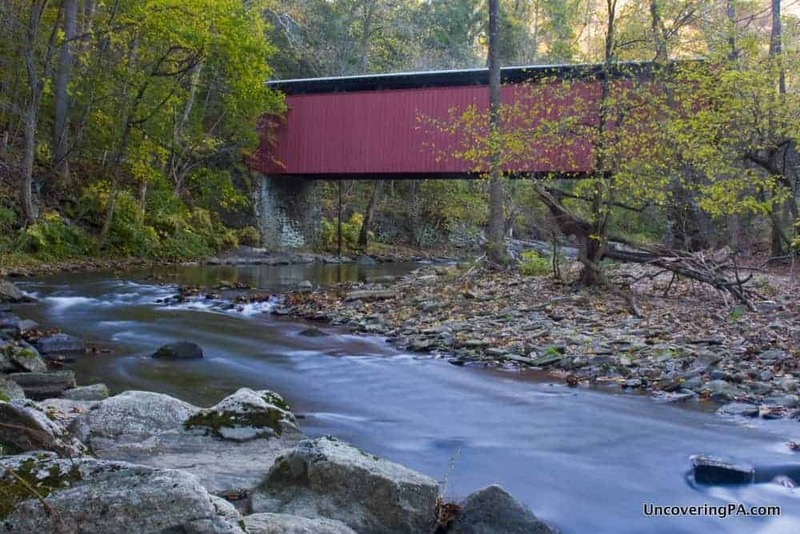 Thomas Mill Covered Bridge remains as the lone surviving covered bridge in Philadelphia. In fact, it’s the only covered bridge left in any major US city. However, if you visit Thomas Mill Covered Bridge, you could be forgiven for completely forgetting that you are in the middle of the east coast’s second largest city. 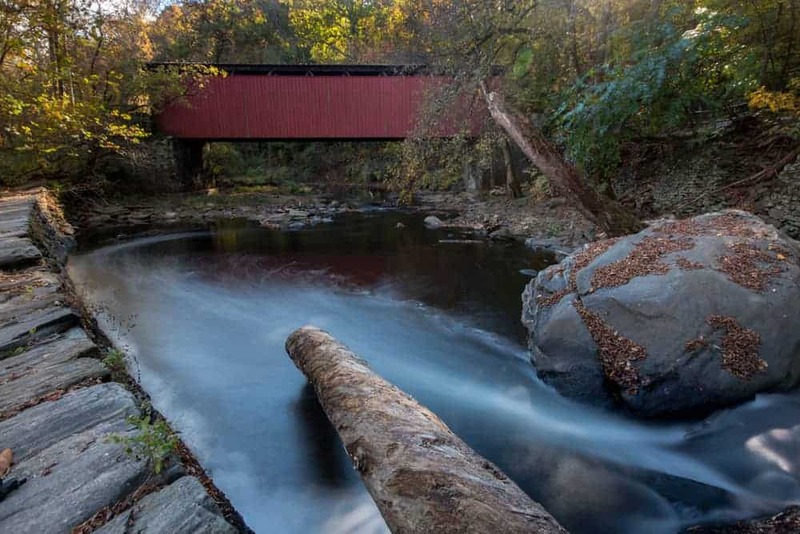 That’s because Thomas Mill Covered Bridge is located in the secluded Wissahickon Gorge in the northern reaches of Fairmount Park. 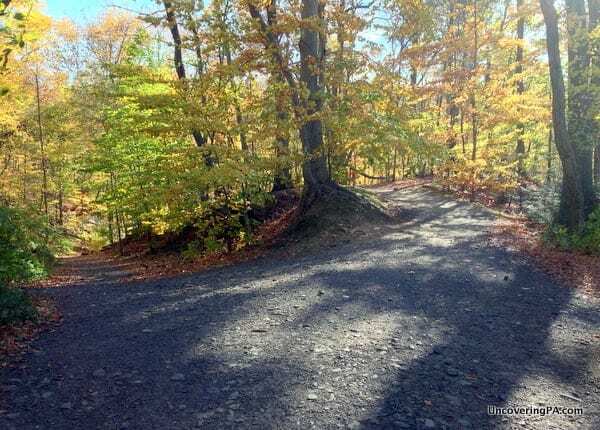 While this is a popular biking and running trail for locals, few visitors to the city even make it to the very pleasant Chestnut Hill area of the city. Looking downstream at the beautiful and secluded Thomas Mill Covered Bridge. The fact that Thomas Mill Covered Bridge is so hidden away gives it a rural feel despite being set in a big city. This bridge was built in 1855 and refurbished in 1939 and again in the year 2000. The bridge is one of five remaining Howe-truss bridges that still stand in Pennsylvania and spans 86.5 feet over the Wissahickon Creek. Located at the bottom of Wissahickon Gorge, this bridge only carries pedestrian, bicycles, or horses over the creek below. The eastern side of the bridge features a nicely paved path, while the western side features steep hills crisscrossed with hiking paths. Looking through the woods at Thomas Mill Covered Bridge. It’s really hard to imagine how such a large city could still contain an area as peaceful and secluded as the area surrounding Thomas Mill Covered Bridge. 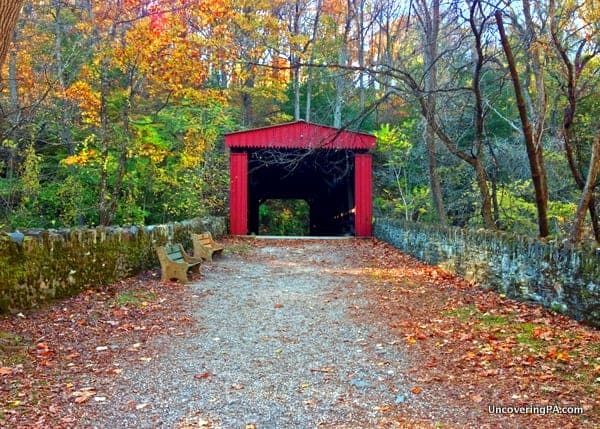 Whether you are looking to find this bridge for its beauty and history, or simply want a break from the hectic city, visiting Thomas Mill Covered Bridge in Fairmount Park is a great way to spend a few hours. Due to its secluded location, getting to Thomas Mill requires directions. However, if you know where it is, it’s quite easy to reach. There are two different ways to reach this bridge, both of which require walking about half a mile. 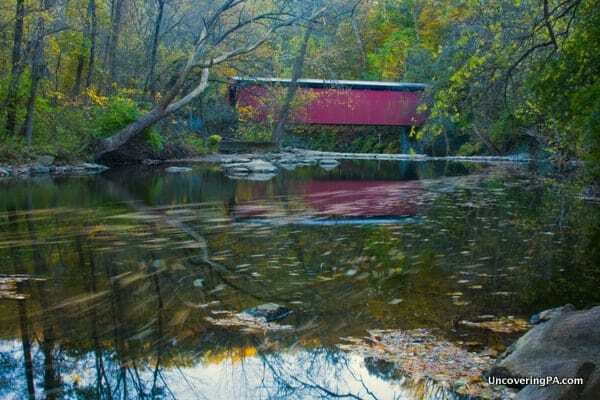 While you can’t drive to Thomas Mill Covered Bridge, it is located at the following coordinates: 40.071889, -75.225632. 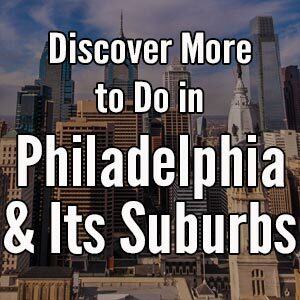 The first, which is how I went, is the best bet for those looking for a bit of exercise or those visiting from downtown Philadelphia on public transportation. 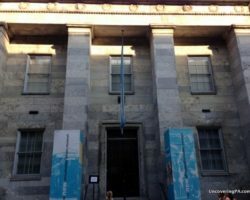 For this route, the best parking area is directly across the street from 440 W Chestnut Hill Ave (Use this address for your GPS). There is an obvious dirt parking area there near the intersection of Chestnut Ave. and Seminole St. 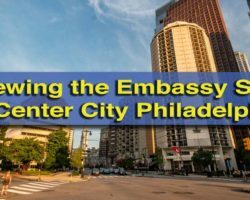 If you are relying on public transit to reach the bridge, take the Chestnut Hill West commuter train from Suburban Station in Philadelphia’s Center City to Highland Station. Once you exit the train station, turn left to walk northwest on Seminole Street. Follow Seminole St. for two blocks until Seminole St. dead ends into West Chestnut Hill Avenue. Turn left, and the parking area will be about about 100 yards down on your right. The parking area for Thomas Mill Covered Bridge. From this parking area, and with your back to the road, look to the far left of the parking area and notice a gated path. Follow this path, which will run along a stone wall for part of the journey, for about 7-10 minutes. 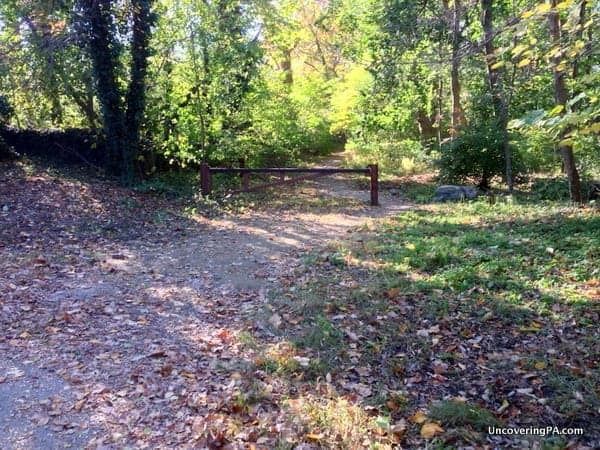 The trail to take to Thomas Mill Covered Bridge from the parking area off West Chestnut Hill Avenue. Eventually, you will come to a bench and a fork in the path. Take the path to the left, following it steeply downhill. Follow this path for 3-5 minutes until you get to the bridge at the bottom of the hill. For those that want them, Thomas Mill Covered Bridge is located at the following coordinates: 40.071894, -75.225636. Note that this path is a bit steep in places and is quite rocky. Shoes with good traction are recommended if taking this route. When you come to this split in the trail, head downhill to your left to get to Thomas Mill Covered Bridge. Another parking area for the bridge is available at the following coordinates off of West Bells Mill Road: 40.078250, -75.227564. This trail is easier then the one listed above, though it is a bit longer. 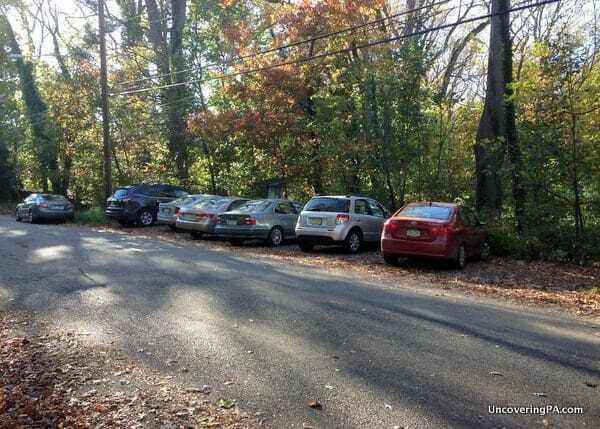 From this parking area, with your back to the road, head down the trail towards Wissahickon Creek. 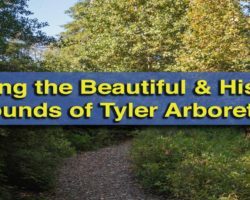 Once you reach the path along the creek, turn right and walk for about 8-10 minutes until you reach Thomas Mill Covered Bridge. You can also make this a loop by taking the trail on the opposite bank of the river back to West Bells Mill Road. Despite this way being a bit easier, it doesn’t look like it’s accessible by public transportation, so those of you visiting Thomas Mill Covered Bridge without a car will need to go with the first route. 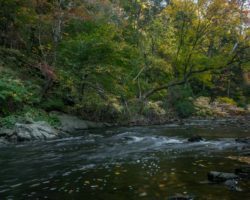 Check out all of our favorite things to do in Wissahickon Gorge. 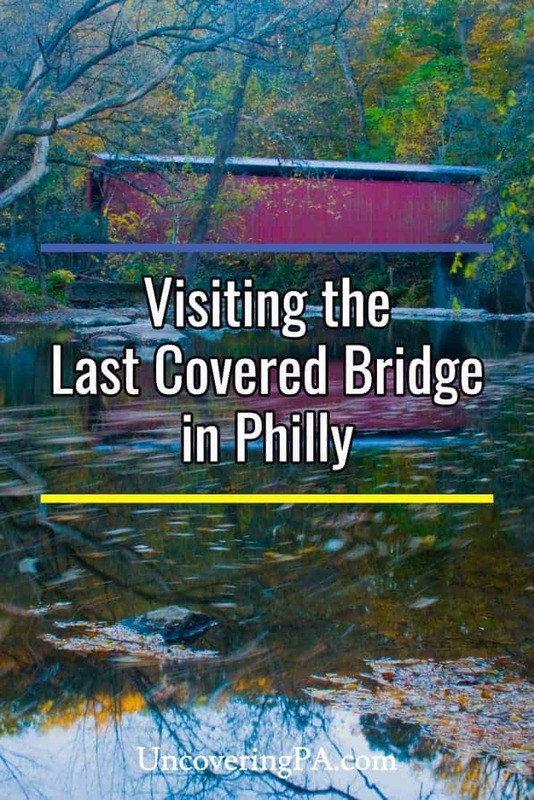 I used your page to discover and find the covered bridge in Philly. It was a neat find, in a beautiful wooded area. The bridge was in excellent condition as well. You’re right about having a good set of directions to go off of. The only strange part was seeing other folks enjoying the beautiful weather by the bridge. Most of the time, we usually have the covered bridges to enjoy all to ourselves! That’s great, and a good point. There were a lot of people around when I visited Thomas Mill Covered Bridge. Usually, there is no one else there. You stated how long it would take to walk to the Thomas Mill Covered Bridge trom the Bells Mills West parking lot but what I would like to know is what is the distance. It’s probably a bit over half a mile.